KUALA LUMPUR • When Ms Alina Amir returned from the United States to Malaysia four years ago with a degree in actuarial science from the University of Illinois, she embarked on a straightforward career path. Her first job was at consulting firm Accenture as a consultant but she never forgot that she had always wanted to be a teacher. She was just afraid to get off the beaten track. "I loved what I was doing but didn't feel that I was adding value," she said. A year later, in 2012, the Teach for Malaysia programme started. That was her cue. She quit her job to join this government-funded programme which trains highly qualified Malaysians to teach in high-need schools. Ms Alina, now 27, was posted to the backwaters of Bukit Mertajam town in mainland Penang state. It was at that time when she started her social enterprise, Arus Academy, with three others. Somehow, making money and doing good are not seen as being natural partners. 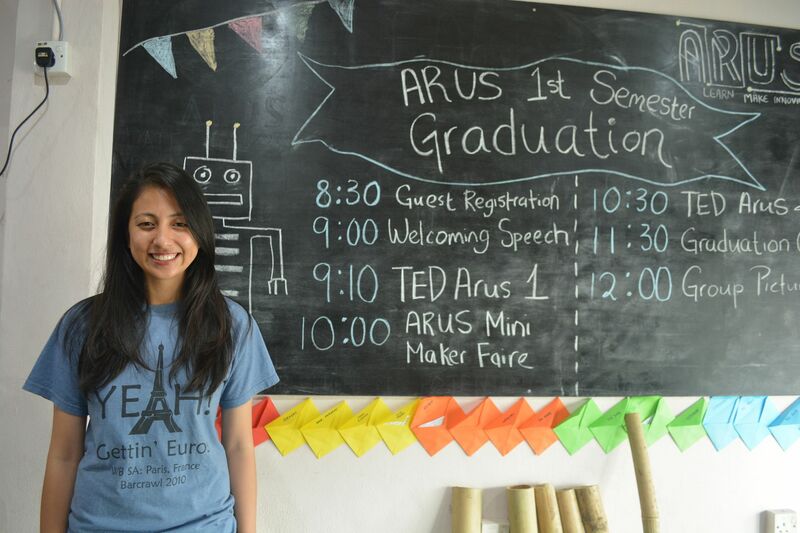 Arus Academy now runs after- school programmes to teach skills like coding and public speaking to underprivileged children, and supports itself through profit- making ventures such as coding camps for wealthier schools. Ms Alina and her three youthful partners are among the many young people in Malaysia who have exited the rat race for the business of doing good, or never entered it at all. They have instead opted to start their own business with a difference, seeking to address social issues through commercial means. Social entrepreneurship has gained much traction in Malaysia in the last few years, and is now becoming seen as a solid alternative career to a 9-to-5 job with a steady income. The list of social enterprises in Malaysia is long and growing, and are often run by young people with impressive academic and professional credentials. They include, for instance, EPIC Homes, which recruits volunteers to build houses for the indigenous Orang Asli community, and MySkills Foundation which runs vocational courses for marginalised young people. Analyst Ibrahim Suffian, who runs the pollster Merdeka Centre, said this relatively new phenomenon which grew in the last five years tends to comprise young and well-educated urbanites from comfortable middle-class backgrounds. "There is definitely an increase in social awareness, and a getting together of people to do something about Malaysia's problems. This is partly due to a certain sector of society becoming more affluent, and willing to share and become involved," he said. It is also linked to the political developments within Malaysia which has seen a rise in people's movements against failures of government and the market, for instance in the education sector which has suffered from many policy flip-flops for political reasons. Social enterprise takes its inspiration from there, and in turn, may fuel greater demands on government and politics as social entrepreneurs tend to be more socially aware and have wide influence around them. As the trend picks up, the government has moved fast to engage them through the Malaysian Global Innovation Creativity Centre or MaGIC, set up in 2013 to spur entrepreneurship. Staffed mostly by the young, its mandate includes encouraging social enterprises. Clearly, the government sees social enterprises as not just a valuable way to fill the gaps in the economic and social system, but also to engage young people on their own terms. As a bonus, social enterprise has also become a magnet to draw young talented Malaysians home. Ms Sasibai Kimis was among those who returned home for this reason. After graduating from Cambridge University and Wharton School at the University of Pennsylvania, she worked in investment banking in New York before moving to Ghana to work in the non-profit sector. Neither satisfied her. Investment banking was all about profits while non-profits had no profits; that was a jarring imbalance, to her. Thus, she returned to Malaysia in 2009 and started Earth Heir, a luxury fashion brand with a social mission, three years later. Ms Sasibai, now 37, works with traditional craftsmen to bring their art to the market, offering them a fair price. Earth Heir is a for-profit organisation which puts people first. "To make something work long term and be sustainable, it has to make money. Relying on donor funding is not sustainable," she said. The growth in social enterprises is a global trend although each person will have different motivations. Ms Sasibai said it can be seen as an offshoot of the successful tech start-up trend that told young people they can strike out on their own, do something they love, do good for the community and still earn a living. She noted that the increasing inequalities and injustices of the capitalist model have also spurred experiments with new ways to work. "People want a new way of doing things when the old ways have become unsustainable. It is not just about money but also about fulfilment. That is very attractive to this generation," said Ms Sasibai who is also a mentor at MaGIC. There are also more localised reasons such as the drying up of overseas funding for charitable programmes as Malaysia develops rapidly. This has forced many organisations to move from a charitable to an enterprise model. The biggest local factor, however, would be the governmental support which acts as a safety net for the young and inexperienced who do not have savings or investments to fall back on, or a network to tap. A prime example is MaGIC. Mr Ehon Chan, executive director of social entrepreneurship at MaGIC, said it had been striving over the last one year to create awareness of social enterprises as a new engine of growth and a way to create a people-centred economy. A Social Enterprise Blueprint was launched in May this year, with roadshows held regularly to familiarise people with this concept. MaGIC also offers generous grants and assistance to new and established social entrepreneurs entering the business space. In its first year, 30 entrepreneurs received grants, with most of the recipients aged below 35. "There has been a lot more conversation about this in the last one year," Mr Chan said. This fanfare by the government helped a great deal to tackle one of the biggest stumbling blocks: fear. Ms Sasibai noted that in the past, many potential entrepreneurs had to shelve their dreams until they had built up a nest egg. As she herself started out before these government initiatives were launched, she too had to rely on her own investments, networks and skills. But even with all the assistance, it won't be an easy ride. Ms Sasibai said a major unexpected obstacle that she faced was the lack of understanding among many people, resulting in many still feeling uncomfortable about social work being profit-making. "They often ask how much of our revenue goes back to the artisan, a question that they would never ask big companies," she said. "Somehow, making money and doing good are not seen as being natural partners." Turning a profit is the biggest challenge for a social enterprise, as it is for any business. The most successful firms are often those which collaborate with bigger companies, and thus, MaGIC will be focusing on creating awareness among corporations next year, said Mr Chan. He added that there are also systemic challenges because the current system is set up to cater to profit-making companies or NGOs, but not a hybrid of both. Thus, elements like the tax structure are not designed to give a leg up to social enterprises. Be that as it may, the rapid growth of social enterprises has put them firmly on the radar, politically. Mr Ibrahim said their young proponents tend to have wide influence because of their deft use of social media. "As social enterprises, by nature, illustrate the cracks in the system, they can have a wider impact on political perception and awareness," he said. Ms Sasibai noted the rise in social entrepreneurship could result in greater demands, such as for transparency and equality, being made on government and politics. "This is already a generation that puts social impact equal to or above money." To Ms Alina, it was inevitable that social entrepreneurs would begin to ask tough questions when they are confronted with failures in the system every day. Though she avoids thinking too much about it, this would undoubtedly inform her perceptions of public services. "I don't dwell on it but it's always at the back of my mind that I'm doing it because they are not," she said. This growth of social enterprises, coupled with the use of social media, will undoubtedly feed into the rising consciousness among Malaysians of demanding what they perceive to be right. Social enterprise cannot be the answer to all social issues, of course, because there are still sectors such as health that must be addressed by government. They are also small in scale, and thus, may just be addressing the symptoms rather than the root cause of problems. Besides, it is still left to be seen if this trend has staying power. That will only come if the ventures themselves are sustainable. "In Malaysia, it's just starting. If people can make money while solving social problems, it may work," said Mr Chan of MaGIC. • The writer is a former Malaysia bureau chief of The Straits Times. She is now a freelance writer who shuttles between Kuala Lumpur and her new home in the mountain settlement of Ba Kelalan in Sarawak. Click here to read more Field Notes pieces by The Straits Times' network of correspondents and stringers.